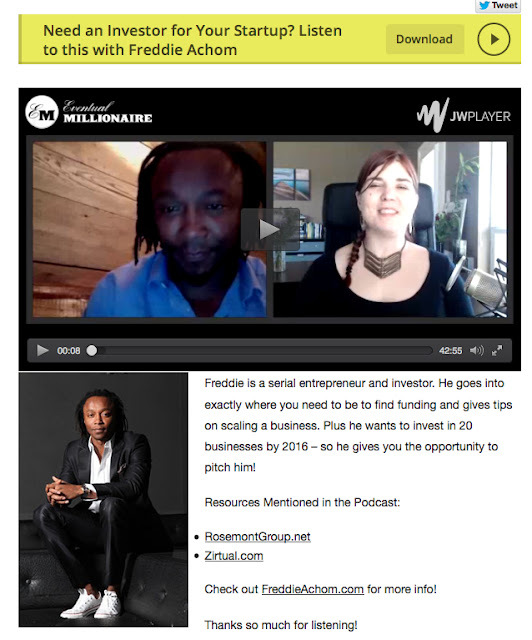 Frederick Achom's Blog: Interview With Eventual Millionaire: Need an Investor for Your Startup? Interview With Eventual Millionaire: Need an Investor for Your Startup? Freddie is a serial entrepreneur and investor. He goes into exactly where you need to be to find funding and gives tips on scaling a business. Plus he wants to invest in 20 businesses by 2016 – so he gives you the opportunity to pitch him!